This is one of my favourite tunes from Tom Petty; its message of defiance against (unnamed) forces fits perfectly on those days when you’re feeling the need to stand your ground. Against whatever. Or whoever. Once again, it’s time for more useless but interesting information. This week it’s all about movie quotes (for the second time). How many do you recognize? "When I first saw you, I thought you were handsome. Then, of course, you spoke." "When it comes down to making out, whenever possible, put on side 1 of Led Zeppelin IV." “You shoot off a guy's head with his pants down, believe me, Texas is not the place you wanna get caught." "He won't come after me. He won't. I can't explain it. He would consider that...rude." "Kid, the next time I say, 'Let's go someplace like Bolivia', let's go someplace like Bolivia." "Wendy? Darling. Light of my life. I'm not gonna hurt ya. You didn't let me finish my sentence. I said: 'I'm not gonna hurt ya.' I'm just gonna bash your brains in. I'm gonna bash 'em right the f--- in! Ha, ha." "Your mother's in here with us, Karras. Would you like to leave a message? I'll see that she gets it." "Bring the dog, I love animals. I'm a great cook." I realize it’s still too early to be thinking about annuals, but we’ll be in the month of April in a couple of days, so it’s hard not to. Last year I bought more annuals than I needed; it was mostly to try an assortment of them to see what works best in my garden. 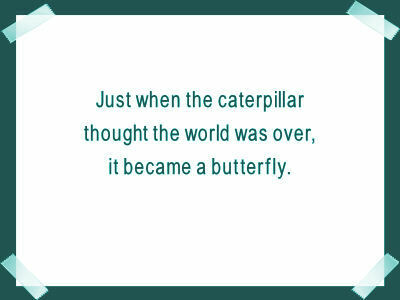 Some were complete successes, others not so much. Dahlias did wonderfully when I first brought them home sometime in May, and continued to look gorgeous until about mid to late June. 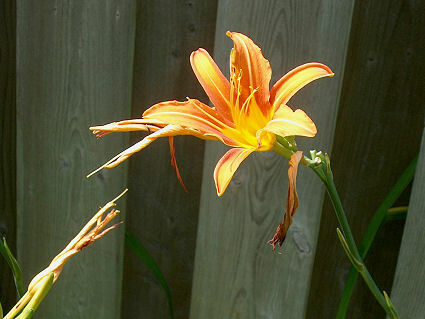 And although they perked up again in September when the cooler weather kicked in as we approached the fall season, they looked miserable throughout the entire summer, no matter where I placed them. I got the impression that they did not like the hot summer months – July and August - all that much. 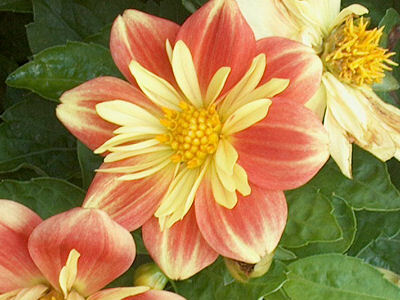 Since our gardening season is so painfully short, particularly for annuals, I won’t be adding any dahlias to my garden this year. 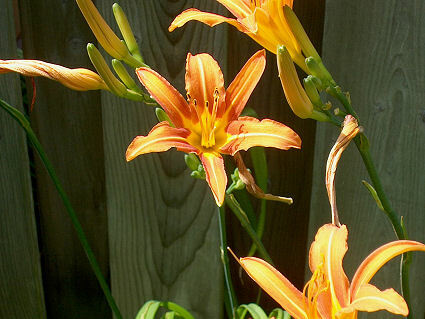 I need flowering annuals that will perform well throughout the entire (short) gardening period. Dahlias just don’t cut it. So no dahlias for this garden lover. 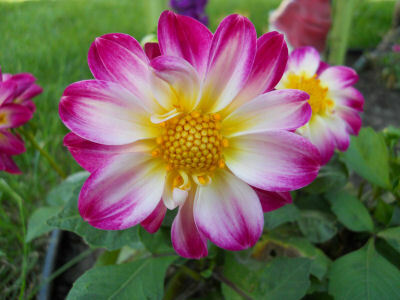 It’s too bad because I really like dahlias. Oh well. I guess I’ll just have to settle for the gazillion other annuals that will be waiting for me at the garden centers around town this spring. 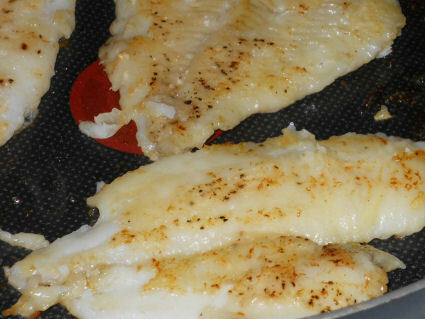 Sole is a lean fish with a mild flavour that ranges from bland to sweet. Because of its affinity to dry out, it’s best served with a sauce, which this recipe provides. Even the fussiest eater will enjoy this wonderfully tasty dish. Place flour is shallow bowl or plate. 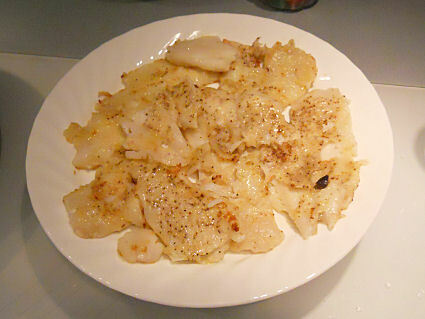 Season the fish with the salt and pepper. Dredge the seasoned fish in the flour. Heat a large skillet over high heat. Add 2 tbsp of butter to hot skillet. 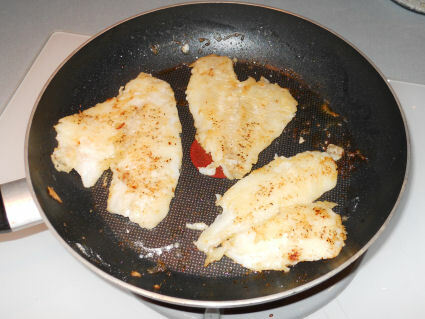 Sauté coated fish fillets until golden on each side. Transfter to plate and keep warm. Place skillet back on medium heat. Add remaining butter and cook until golden in colour. Add the lemon juice. Bring to a boil and add the parsley. Season the sauce with salt and pepper to taste. Drizzle warm sauce over the fish. I love how this duck stayed still long enough for my camera to capture a good photo of it. This photo was taken in Washington, D.C., August 2008. 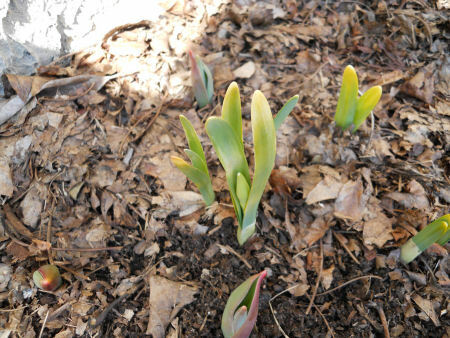 My spring bulbs are quite the little troopers. 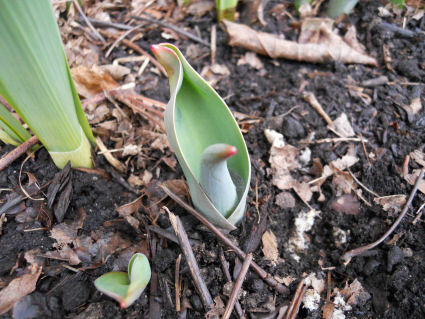 They started poking out their little heads as soon as the month of March hit, and discovered soon enough that the weather was not quite as warm as they expected – or hoped. The month of March has not been the worst I’ve ever known, but it hasn’t been the best either. 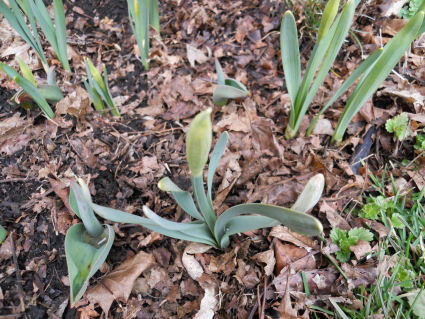 It’s been rather chilly, and we’ve had a little bit of snow along the way, although not enough to cause major concern in regards to the bulbs struggling to grow. 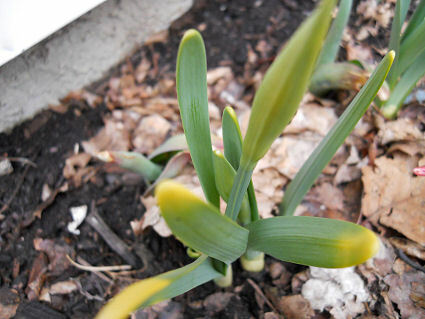 But despite the weather, the bulbs I planted before the winter are hanging on. 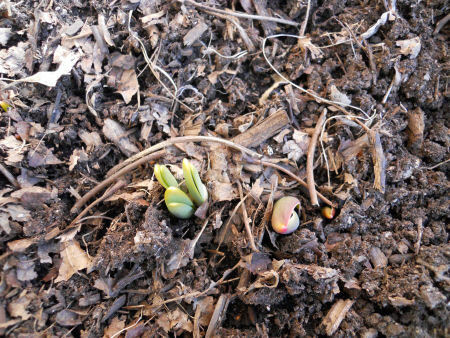 There hasn’t been a tremendous amount of growth, but at least they’re still alive. 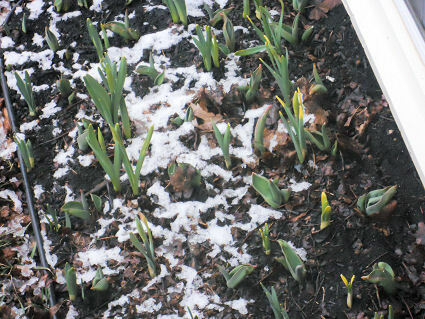 Earlier in the week, the bulbs had to deal with a little snow. Thankfully, it wasn’t all that much, and it melted by the end of the day. There hasn’t been any more snow after that small amount, but it’s been quite chilly. 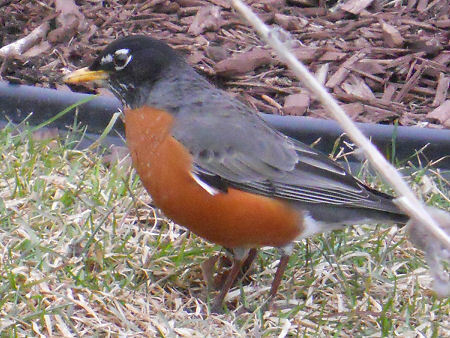 Anyway, like I was saying, Mr. Robin has been hanging around my backyard, so I decided earlier this week (when it wasn’t too cold outside) to step outside to do some garden cleanup and snap photos of this little dude while out there. 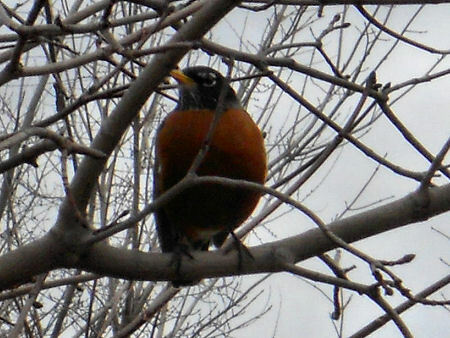 He was singing his little heart out in this tree. He’s such a cutie, isn’t he? 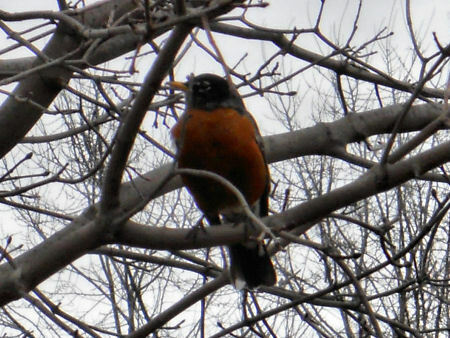 I love these little birds, and I’m so glad they’re back in town. 1st baby: You pore over baby-name books and practice pronouncing and writing combinations of all your favorites. 2nd baby: Someone has to name their kid after your great-aunt Mavis, right? It might as well be you. 3rd baby: You open a name book, close your eyes, and see where your finger falls. Bimaldo? Perfect! 1st baby: You prewash your newborn's clothes, color-coordinate them, and fold them neatly in the baby's little bureau. 1st baby: At the first sign of distress - a whimper, a frown - you pick up the baby. 2nd baby: You spend a bit of every day watching to be sure your older child isn't squeezing, poking, or hitting the baby. Night Test: Prepare by obtaining a small cloth bag and fill it with 8 - 12 pounds of sand. Soak it thoroughly in water. At 8:00 PM begin to waltz and hum with the bag until 9:00 PM. Lay down your bag and set your alarm for 10:00 PM. Get up, pick up your bag, and sing every song you have ever heard. Make up about a dozen more and sing these too until 4:00 AM. Set alarm for 5:00 AM. Get up and make breakfast. Keep this up for 5 years. Look cheerful. Final Assignment: Find a couple who already has a small child. Lecture them on how they can improve their discipline, patience, tolerance, toilet training, and child's table manners. Suggest many ways they can improve. Emphasize to them that they should never allow their children to run riot. Enjoy this experience. It will be the last time you will have all the answers. Every year as spring arrives I get this urge to buy plants. 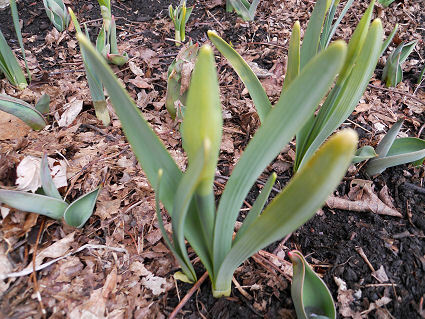 Well, okay, I get this urge at different periods of the year, not just at spring. But you know; it’s just one more excuse to pop over to the local greenhouse and snoop around for some goodies. And now that I have both indoor and outdoor gardening to enjoy, you can imagine just how plant manic I become this time of year. Although I’ve been drooling over some of the houseplants on display at different greenhouses around town, I’ve had to force myself to walk away without making a single purchase. It’s not that I don’t want to buy anything; it’s that I shouldn’t. In a little while, I’ll be so busy with all the outdoor gardening responsibilities that it wouldn’t be wise to add any more plants to the indoors; they’ll just end up being neglected, albeit benignly. Still. Neglect is neglect. So, I’ll wait until things settle down a little. Then I make no promises to behave. 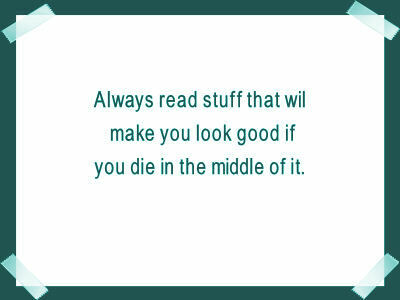 But it doesn’t hurt (or cost anything) to look. 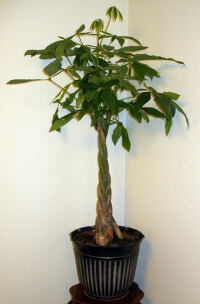 And the plant that has caught my interest – a plant that I hope to buy soon - is the Pachira aquatica. Since I can’t have one (for now) no matter how much I’d like to, I’ll settle for writing a little about its care info. Commonly referred to as the ‘Money Tree’ or ‘Money Plant’, Pachira aquatica is native to Central America, South Mexico and South America where it grows in swamps. Other common names include ‘Water Chestnut, ‘Saba Nut’, ‘Guiana Chestnut’, ‘Provision Tree’ and ‘Malabar Chestnut’, although they’re not used as often over in my neck of the woods. Pachira aquatica is a popular plant in the practice of Feng Shui, an “ancient Chinese art of positioning objects in buildings and other places based on the belief in positive and negative effects of the patterns of yin and yang and the flow of chi, the vital force or energy inherent in all things.” Feng Shui has been around for a few thousand years and is practiced in China and several other areas of the world. Large, stalked leaves with many oval leaflets grow from the top of a thick woody stem. 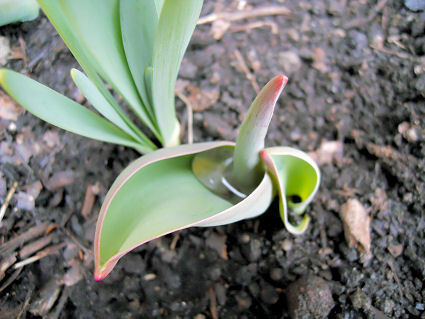 This unusual but attractive plant is typically sold in a braided form with several trunks intertwined. I don’t know how quickly it grows, but a ‘Money Tree’ can become very large. And although it’s generally sold as a regular houseplant, every now and then you find it sold as a bonsai. A wide range of lighting - from full shade to full sun - is tolerated. 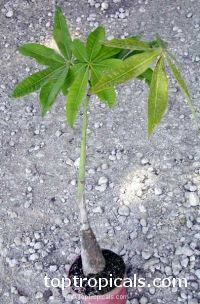 But even though Pachira aquatica will grow in almost any light condition, it will be happiest in a brightly lit spot where it can receive filtered sun. 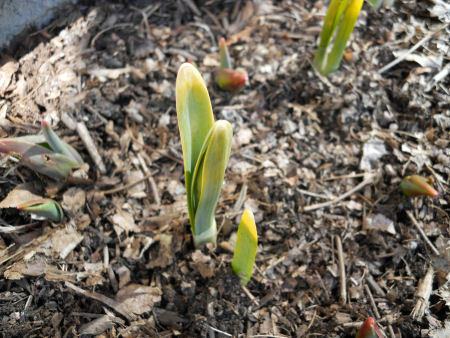 During fall and winter, you can grow your plant in direct sun without a worry but it should be protected against the strong rays of the summer’s midday sun. 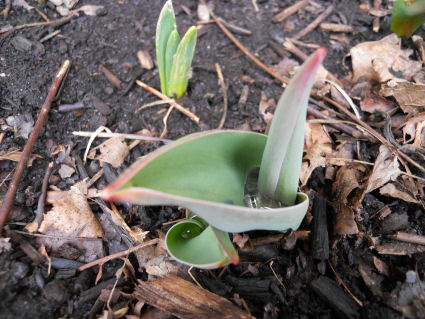 Keep the soil of this plant moist at all times during the growing season, allowing it to dry out only slightly before watering again; water more sparingly during the rest of the year. Pachira aquatica tolerates drying out quite well but you should not make it a habit of letting it dry out completely too often or for extended periods. 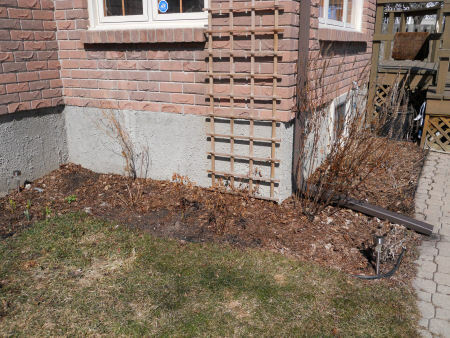 Avoid over-watering as much as possible or the trunk (or trunks) will eventually rot. 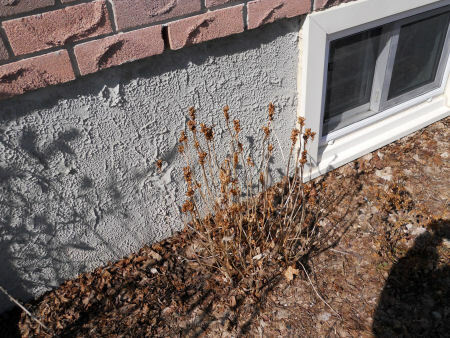 To help prevent this from happening, use a potting mix that is airy and drains well. 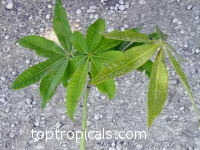 Dry air can be tolerated for awhile but Pachira aquatica prefers more moisture; provide plenty of humidity to keep your plant happy and prevent spider mite infestations. Make sure there is adequate ventilation to avoid stagnant air; keep the air fresh and in constant motion by running floor or ceiling fans, and by opening up windows regularly. Feed with a liquid fertilizer diluted to half strength every two weeks or once a month during the growing season; do not feed in winter. Repot every year in early spring. Pachira aquatic is a lovely plant. 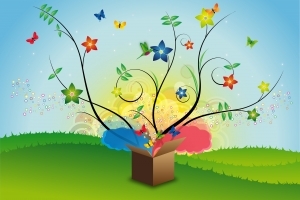 It requires very little to keep it healthy, which makes it a great choice for beginners and a wonderful choice as a gift. If you don’t have a ‘Money Tree’ already, don’t hesitate to pick one up the next time you see a bunch of them at a local store. It’s worth it. 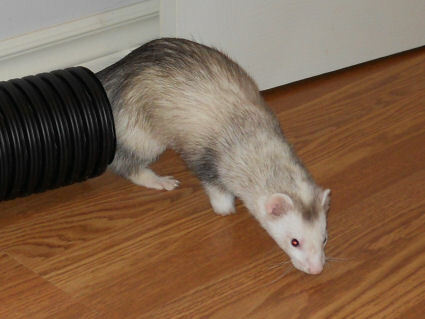 This week’s ferrety Friday is a reminder to ferret owners that their fuzzies are extremely vulnerable to flu strains. In fact, if your fuzzy becomes very ill, it could prove fatal. So, if you are sick, wash your hands often, do not sneeze or cough around your pet, and wear a surgical mask if possible. Or better yet, avoid handling your pet; have another member of the family, a neighbour, or a friend care for your ferret until you have recovered completely. Spaz emerging from the tube. As Scott Weese, an expert in zoonotic diseases at the University of Guelph, once said, “pets are part of the household microbiologically, not just socially." I really enjoy listening to songs like this one while I work on my blog; they’re relaxing, and very enjoyable. This week’s useless but interesting information is all about the beautiful and fascinating bald eagle. - The bald eagle is a bird of prey found in North America. - Bald eagles mate for life. If one member of the pair dies or disappears, the survivor may take a new mate. - Failed breeding attempts may prompt a pair to split up and look for new mates. - Eighty percent of bald eagles die before their first birthday due to predators and lack of food. - Bald eagles that survive to maturity may live 15 to 20 years or more in the wild. In captivity, they often live somewhat longer. - It takes a young bald eagle four or five years to achieve this distinctive coloration. Until then, bird watchers may confuse it with other birds, such as the Turkey Vulture and Golden Eagle. - Bald eagles can see three or four times farther than people. - Between 1917 and 1953 over 100,000 American bald eagles were killed in the state of Alaska. Fisherman killed the eagles because they thought the birds were threatening their livelihood. - In 1978, bald eagles were put on the endangered species list. - Bald eagles are slowly coming back from the brink of extinction. They were reclassified in 1995 as 'threatened'. - If you get caught today with even one bald eagle feather, you can be fined up to $5,000 and spend a year in prison. 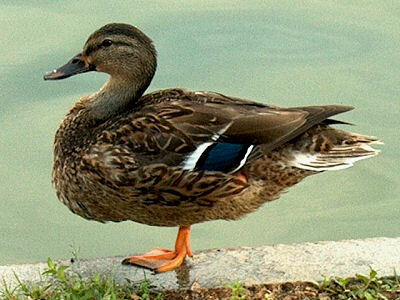 - Males and females are identical in plumage coloration. - You can tell the difference between a male and female bald eagle by their size. Female bald eagles are larger than males. 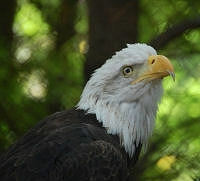 - A female bald eagle weighs up to 14 pounds and has a wingspan of seven feet. - The bald eagle's scientific name is Haliaeetus leucocephalus. 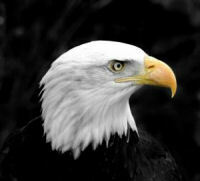 - It is the national bird and symbol of the United States of America. - Its range includes most of Canada and Alaska, all of the contiguous United States, and northern Mexico. - It is found near large bodies of open water with an abundant food supply and old-growth trees for nesting. - The bald eagle is a large bird, with a body length of 70 – 102 centimeters (28 – 40 inches), a wingspan of between 1.68 m (66 inches) and 2.44 m (96 inches), and a mass of 2.5 – 7 kilograms (5.5 – 15 lb); females are about 25 percent larger than males, adult females averaging 5.8 kilograms (13 lb) and males averaging 4.1 kilograms (9.0 lb). - The size of the bird varies by location; the smallest specimens are those from Florida, where an adult male may barely exceed 2.3 kilograms (5.1 lb) and a wingspan of 1.8 m (5.9 ft). The largest are Alaskan birds, where large females may exceed 7.5 kilograms (17 lb) and have a wingspan of over 2.4 m (7.9 ft). - A bald eagle's diet consists mainly of fish, but it is an opportunistic feeder. - Bald eagles also may sometimes feed on subsistence scavenged or stolen from campsites and picnics, as well as garbage dumps. - Mammalian prey includes rabbits, hares, raccoons, muskrats, beavers, and deer fawns. - Preferred avian prey includes grebes, alcids, ducks, gulls, coots, egrets, and geese. - Reptiles, amphibians and crustaceans (especially crabs) are preyed on when available. - The Bald Eagle’s nest is the largest of any bird in North America — on average 1.5 to 2 m across and about 1 m tall. Long-established nests can be much larger (observers recorded one that was 3 m across and 6 m tall). - The bald eagle prefers habitats near seacoasts, rivers, large lakes, oceans, and other large bodies of open water with an abundance of fish. - The bald eagle is extremely sensitive to human activity, and is found most commonly in areas free of human disturbance. It chooses sites more than 1.2 km (0.75 miles) from low-density human disturbance and more than 1.8 km (1.1 miles) from medium- to high-density human disturbance. - The bald eagle's natural range covers most of North America, including most of Canada, all of the continental United States, and northern Mexico. 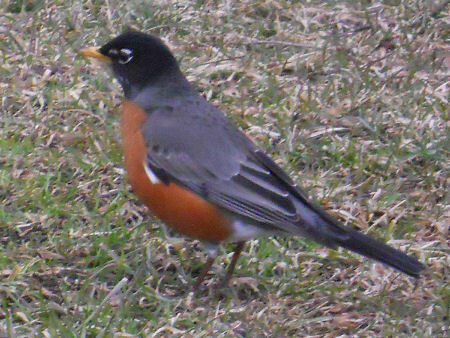 - Northern birds are migratory, while southern birds are resident, remaining on their breeding territory all year. - The bald eagle is a powerful flier; it reaches speeds of 56–70 kilometers per hour (35–43 mph) when gliding and flapping, and about 48 kilometers per hour (30 mph) while carrying fish. - Its dive speed is between 120–160 kilometers per hour (75–99 mph), though it seldom dives vertically. - Bald eagles are sexually mature at four or five years of age. - When they are old enough to breed, they often return to the area where they were born. 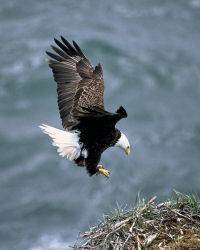 - Bald eagles produce between one and three eggs per year. - Both the male and female take turns incubating the eggs. 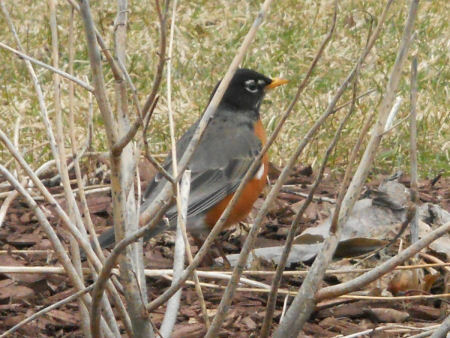 The other parent will hunt for food or look for nesting material. - The bald eagle is a sacred bird in some North American cultures, and its feathers, like those of the Golden Eagle, are central to many religious and spiritual customs among Native Americans. 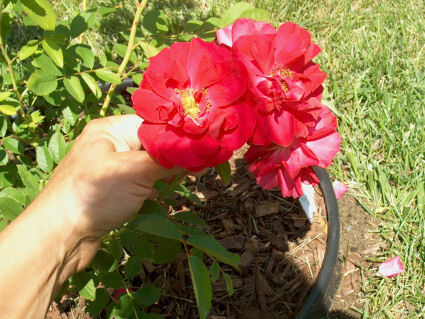 Last year I added a significant amount of miniature roses to my backyard, along with three large rose bushes. 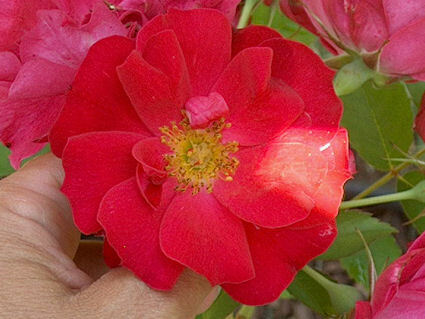 Below are photos of one of the larger plants, the Rosa ‘Adelaide Hoodless’, which produces gorgeous flowers. 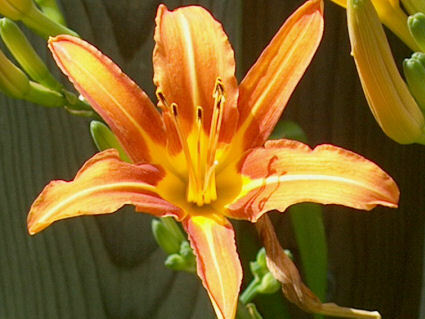 The hardiness zones for this lovely plant are 3 to 7, and it blooms throughout the summer and way into the fall. 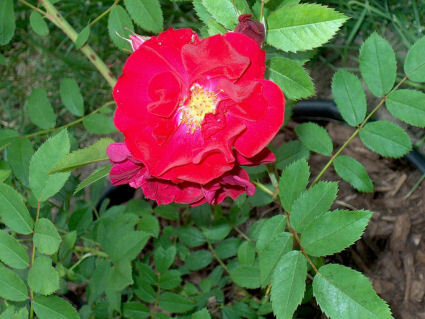 The habit is bushy, the foliage colour is medium green and the blooms are a bright red. My plant was fairly small when I brought it home, but it should eventually reach a spread and height of 3 feet. 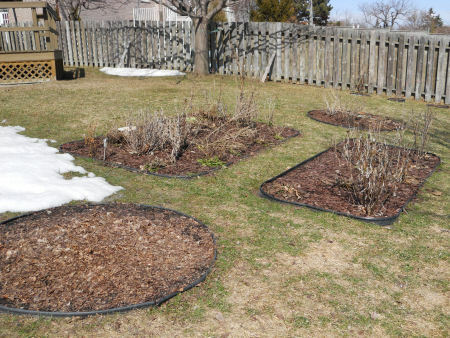 There isn’t a lot of maintenance involved aside from removing dead, diseased, crossing and weak canes when leaf buds open in the spring, and deadheading to promote flowering. 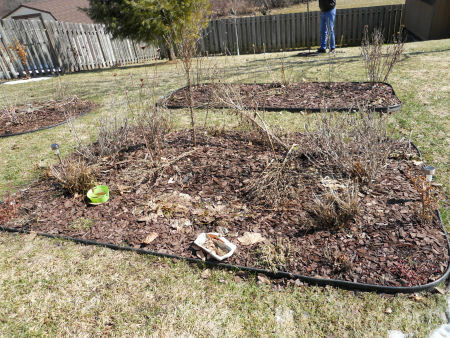 In addition, if you live in an area where frost occurs, deadheading and fertilization should be stopped in early fall to prepare for dormancy. 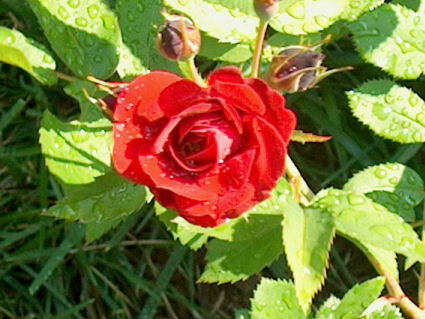 Choose a sunny spot with fertile, well-draining soil and give the roses an inch of water weekly during dry weather. 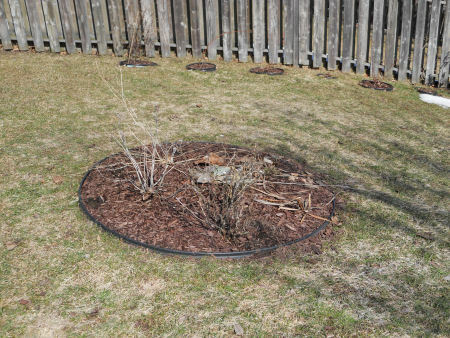 Feed with a balanced fertilizer in early spring and again in early summer, and watch out for common pests such as spider mites, Japanese beetles and aphids, even though the plant tolerates the damage caused by these pesky critters very well. The flowers are slightly fragrant, but nothing to write home about. 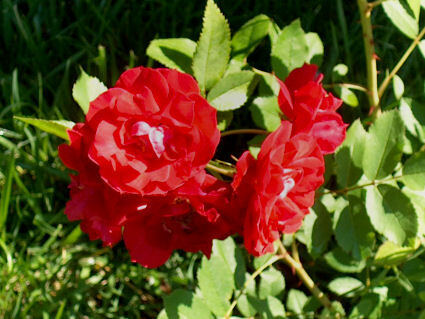 I enjoy this rose bush for the blooms, not the scent. If it happens to also smell nice, hey, it’s an added bonus. Every now and then, I do make chicken stock from scratch, which I love, because nothing compares to the taste of a homemade soup that includes homemade stock- the central ingredient. And the recipe below is one of my favourites for preparing some delicious chicken stock. 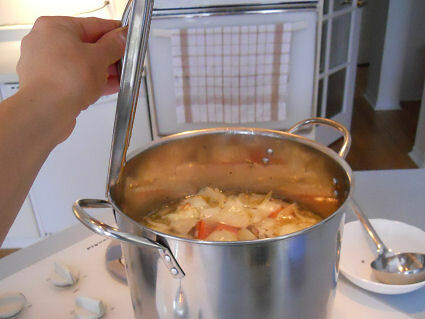 1) Combine the poultry wings, backs and necks in a stockpot with the onion quarters and the oil. 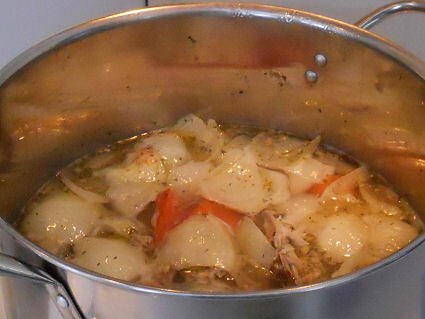 Cook over medium heat, stirring occasionally, until the poultry and onions are lightly and evenly browned. 2) Add the water and stir well to mix in the sediment on the bottom of the pan. Bring to a boil and skim off the impurities as they rise to the surface of the stock. 3) Add the chopped carrots and celery, fresh parsley, thyme, bay leaf and black peppercorns. Lower the heat, partly cover the stockpot and simmer the stock for about 3 hours. 4) Strain the stock through a strainer into a bowl and leave to cool. Chill in the refrigerator for an hour. 5) When cold, carefully remove the layer of fat that will have set on the surface. Store in the refrigerator for 3 to 4 days, or freeze (up to 6 months) until required. Makes about 2 ¾ quarts. When I started my first year of high school, my parents laid down some ground rules: 1) I was strictly forbidden from wearing make-up, 2) I was advised to come home immediately after school and 3) I was not allowed to hang out with boys. Since I hadn’t met any boys yet or taken an interest in any, and since I was still too young to care about going anywhere outside of school, I broke only one rule: I wore make-up. Every day. I was not alone; most of my friends painted their faces regardless of whether or not they were restricted from doing so by their parents. 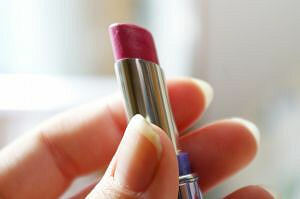 We did all have one thing in common when it came to make-up: inexperience. We didn’t know what we were doing and you could see it on our faces. (Figuratively and literally speaking...) And we faced obstacles, too, the most important being the lack of money to be able to buy some make-up. Since none of us really had enough cash to purchase these products completely on our own, we decided to do two things. 1) We pooled together our limited funds, bought a few pieces and shared them, and 2) We passed around whatever products a few of us (girls whose parents allowed them to wear make-up) were lucky enough to have; The girls I hung out with were quite generous with what they owned, so that worked out very well. And so began our make-up adventure (deception, for some of us). We would meet early at school, head for the bathroom and transform ourselves. There was no professional to show us how to properly apply any of these products; we simply relied on one girl from our group, any girl, who we dubbed ‘the make-up pro’. This girl gained this title because she had been wearing make-up from day one, so she had what most of us lacked: hands-on experience. Be it good or bad experience, her word was the word of God when it came to working with make-up. She guided us and advised us. We believed her. We followed her advice like the bible. To say that we spent most of our high school years looking like raccoons and clowns and streetwalkers would be an understatement. We wore too much and used colors that were completely inappropriate. But no one cared; the main reason being that all the girls failed miserably in the mastery of make-up application except for those that didn’t wear any, so we all looked equally ridiculous. 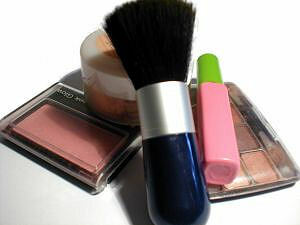 Unfortunately, like any other bad habit, these shoddy make-up application skills stayed with us for years. It wasn’t until my adult years that I started to understand the right way of working with make-up. Looking back now, I can only laugh at some of the photos I see of me and my friends. We really were a sight for sore eyes. Since I wasn’t allowed to wear any make-up but did it anyway, I would rush to the bathroom after school and try to remove all traces of it before I headed home. I wasn’t alone. There were a lot of girls standing right beside me in front of the adjacent sinks, vigorously washing away the evidence. But no matter how much I tried, no matter how raw my face became from all the frantic scrubbing, I could not rinse away all the proof. Of course, I did not realize this at the time; I thought I was much too smart for my parents – most teenagers think they are – and I truly believed that I could dupe them. It never dawned on me at the time that my parents knew all along that I was blatantly breaking one of their rules. In the beginning, they weren’t entirely convinced, so they didn't confront me. Perhaps they were giving me the benefit of the doubt, or hoping that they were wrong. I’d catch them staring at me suspiciously with narrow eyes and creased eyebrows, and then turn away. Could it really be make-up that was making my face a little more red than usual, my cheeks slightly crimson? Was it possible that I had put on eyeliner and that’s why my eyes looked darker, deeper? Had I dared to put lipstick on my lips and that’s why there were hints of colour in the cracks? Looking back now, all I can say is: Of course they knew! How could they not? A little soap and water wasn’t enough to wipe out the raccoon eyes that I sported all day. Yes, they knew. And even when I finally accepted that I knew they knew, when they finally asked me if I was wearing make-up, I looked at them straight in the eyes and said, “Of course not. You told me I’m not allowed, didn’t you?” They smirked. I smirked. All of us pretending I wasn’t lying. All of us knowing that I was. And we left it like that. The no make-up rule stayed. I continued breaking it. We all continued pretending otherwise. At that age, I did not understand why they didn’t make a big deal out of it; I was just happy that I was able to continue to wear make-up. But I do understand now. They decided at some point that this wasn’t worth fighting over; that they would save the big guns for more important issues. Because now that I’m a parent, I also “don’t sweat the small stuff”. And most of it is small stuff. What did your parents turn a blind eye to when you were a teen? 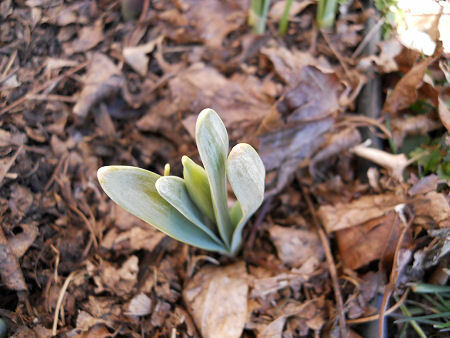 I’m absolutely, totally, completely, utterly, positively o-ver-joyed that winter is finally over. Goodbye snowy days, deep freeze and cloudy skies. 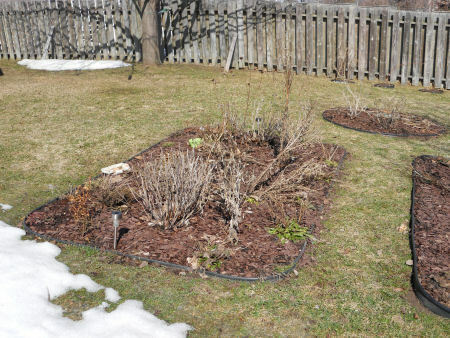 Farewell snow banks, blizzards and freezing rain. Sayonara icy sidewalks, frostbite and flu season. Arrivederci coats, ski jackets and snow pants. Au revoir wool socks, boots and earmuffs. Ta-ta hats, gloves, scarves and mittens. Adios ice scrapers, snow brushes and snow shovels. Hasta la vista winter tires, snow blowers and snow plows. So long and good riddance to everything associated with the coldest, gloomiest and most energy-depleting season of the year. ‘Yesiree’ folks, spring - my favourite season of the year – is here. 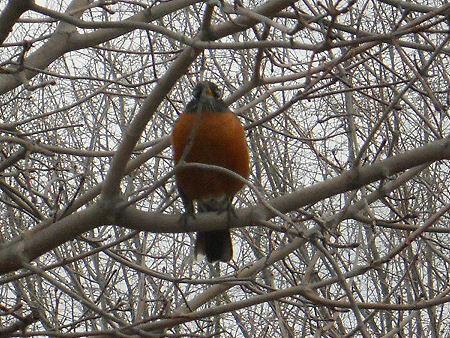 First it’s going to beat up old man winter - a miserable old coot that terrorizes people who live in cold-susceptible areas of the world. Then it will thaw the frozen earth and liberate us from the shackles of winter. The sun will shine more often. The days will be warmer and longer. The flowers will bloom. Hallelujah! Let us rejoice! 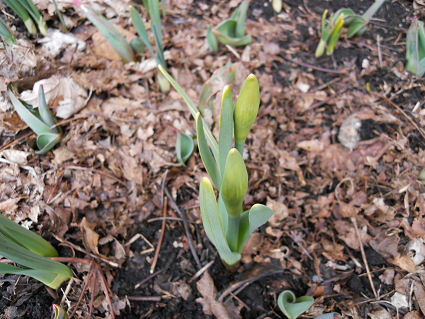 Awaken from the winter slumber and embrace the wonders of spring! Once the taste of mild weather hits the palette, you see children playing outdoors, couples strolling hand-in-hand, joggers sprinting, restaurants preparing outdoor patios and our Canada geese gliding back home. Bikes, scooters, motorcycles, rollerblades, skateboards, footballs, tennis racquets, basketballs, bats and mitts will all come out of storage. And unlike the winter where everyone is isolated, the outdoors dies back and the shorter, cloudier days cause depression, spring encourages you to get outside. It breathes life into the great outdoors and puts a smile on your face. Everyone is happier and more energetic. I wonder where the birdie is. I‘m alright, I won't cry. Do any of you remember it? 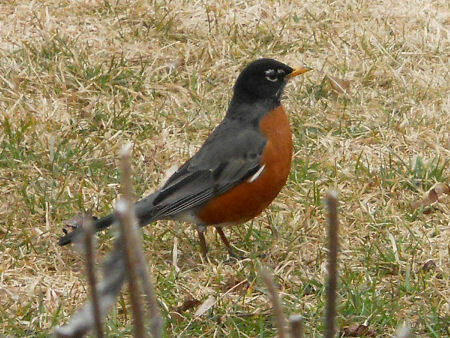 In any case, spring is here and the grass may not exactly have ‘ris’ up here in the north, but it will soon enough. Amen to that. 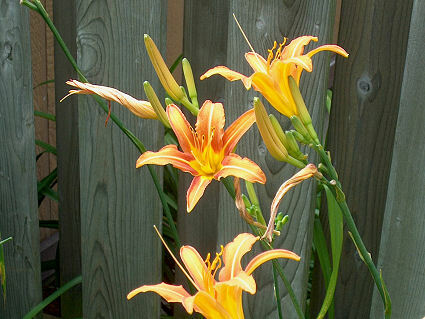 The pictures of these daylilies were taken last year. They don’t belong to me, they belong to my neighbour, but I enjoy them as much as he does because they sneak through the fence and hang around in my backyard. And unlike some of the cats that roam free around the neighbourhood and also sneak into my backyard, which I chase away, these pretty little flowers are welcome to stay. Because they look nicer. They don’t use the flower beds as litter boxes. And they don’t prey on the birds. Or chipmunks. Aren’t they just lovely? I’m looking forward to having them around again this summer. 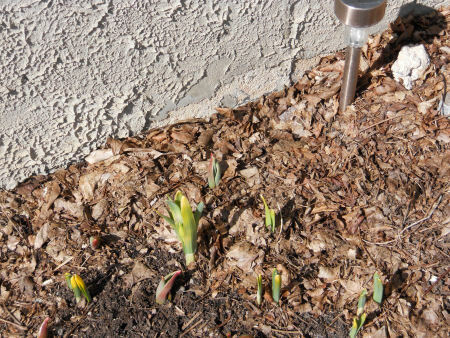 The bulbs in front of our home are still snoozing. 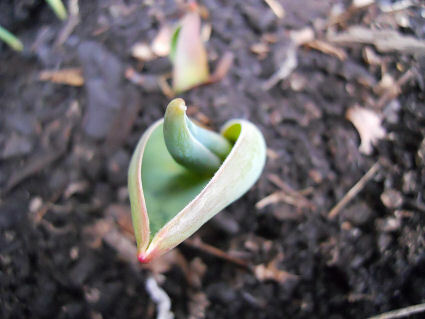 They receive less sun, so I figure the soil hasn’t warmed up enough for them to want to poke their heads out. Either way, it’s a matter of time now before they start to grow. 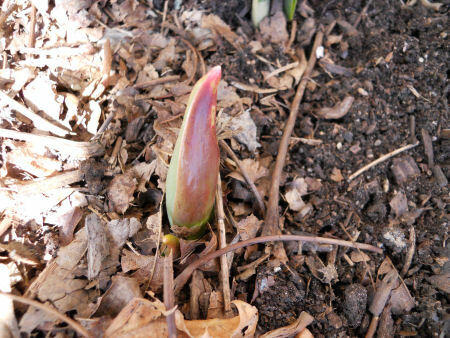 Now, I’m not sure what the rest of this month has in store for us weather wise, but I hope it’s nothing that the bulbs can’t handle. I’ve been waiting for months for a little colour in the garden and I’d be really ticked off if some unexpected harsh weather came around and slapped down the first signs of life in the garden. Royally ticked off.